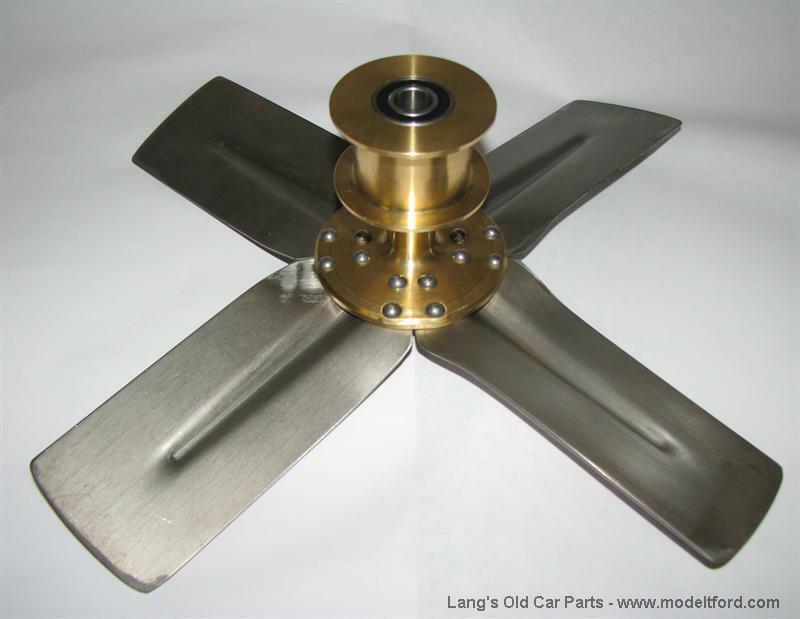 Brass accessory ball bearing fan with blades. Brass accessory ball bearing fan. Has 4 blades riveted in place. No core required.